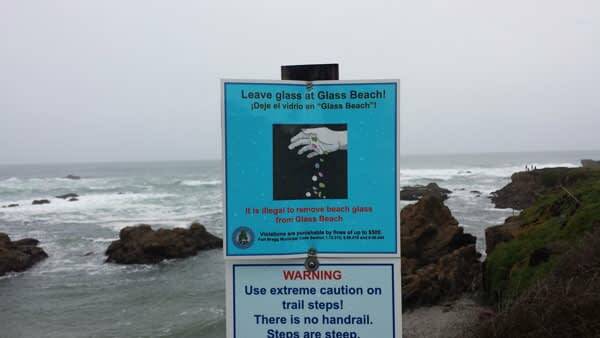 Glass Beach, Fort Bragg is world famous. 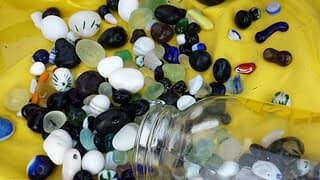 It gets its name from the smooth, colorful glass pebbles that wash up onto the shore. This amazing man-made wonder - with a little help from Mother Nature - is believed to have the highest concentration of sea glass in the world. 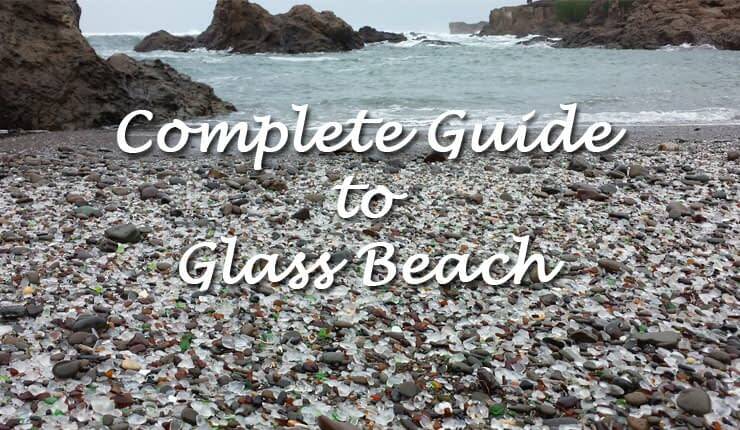 Our complete guide to Glass Beach is full of tips and advice which will prepare you for your visit. 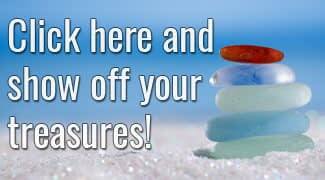 How much Sea Glass is left? 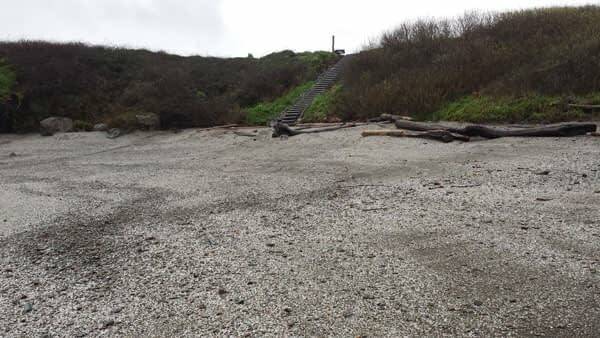 Fort Bragg began dumping everything into the ocean even whole cars, in 1906 after the Great San Francisco earthquake that devastated most of the bay area as well as destroying the center of town in Fort Bragg. In 1906, there was a huge earthquake in San Francisco. Most of the Bay Area was devastated, including the center of town in Fort Bragg, Northern California. Many homes and businesses were damaged beyond repair and had to be bulldozed. The rubble was quite literally dumped into the ocean at the end of Pine Street. 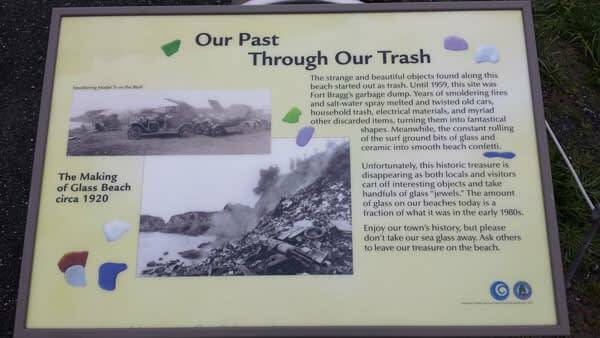 What they didn't realize at the time, of course, was that they were creating the most incredible glass beach for future generations to enjoy! 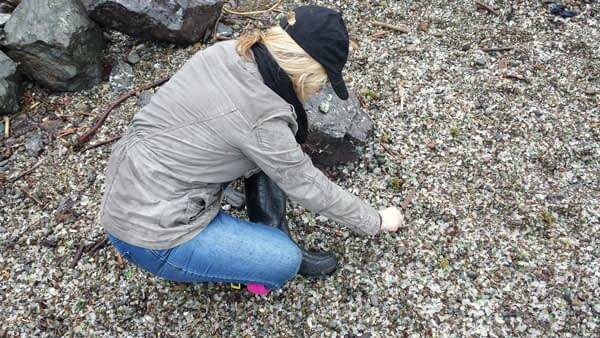 Glass Beach is literally covered in sea glass and more is washed up every single day. 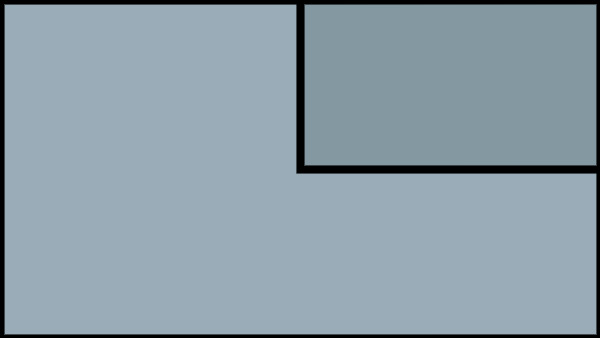 The ocean constantly churns up treasure, especially during full and supermoons or after storms. There is loads of sea glass at Site Two (the 'Middle Site'). 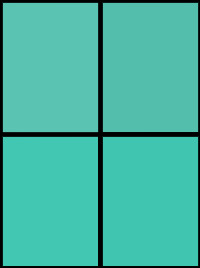 I have also heard that Site One which is the Original Site is abundant in sea glass, however it is a little more tricky to access. 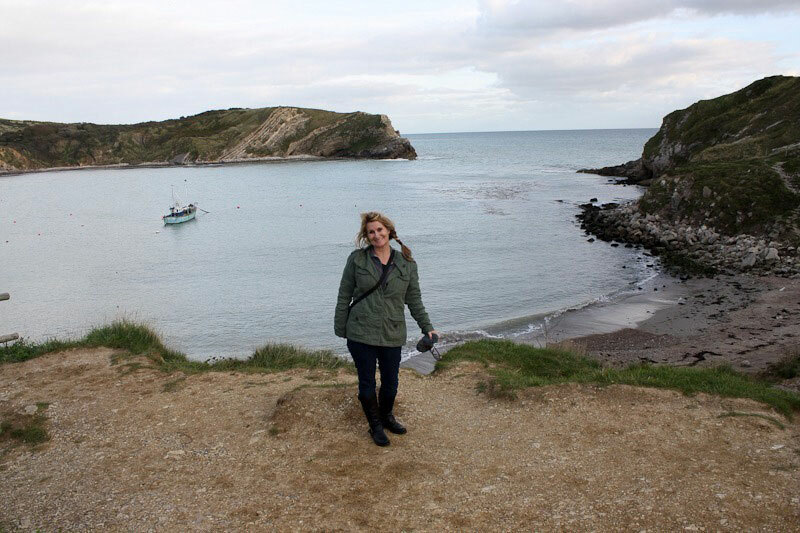 The tide was higher than normal when we visited, so we could not venture to the Original Site. There is some climbing involved or you can access it at low tide. Can you collect the Sea Glass? Plenty of visitors do pick up souvenirs of their visit as did I. As of the date of this article no laws have been passed. 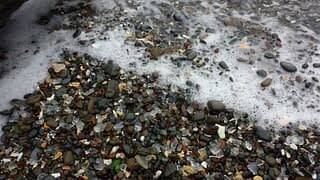 The intention is to preserve Glass Beach for future generations to enjoy but, of course, the sea glass will continue to be pounded by the surf and will eventually erode back into sand. 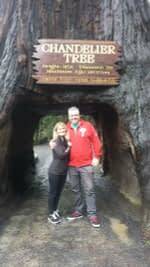 The city of Fort Bragg hopes that many more visitors will be able to enjoy the spectacular sights before that happens and we definitely recommend a visit. You'll love it! Take Hwy 1 to Fort Bragg and look out for the Denny's Restaurant on the corner, as that is where you turn onto Elm Street. Continue towards the the ocean and park in the lot (which was free when we visited). There is a wide path leading to the beach from the parking lot. Walk towards the ocean, turn south/left at the bluff's edge and you'll find a path down to the coves. There is a staircase down to the beach, which is Site Two or the 'Middle Site'. This cove is outside of the MacKerrney State Park boundary. The Mendocino Coast is about four hours drive north of San Francisco/Oakland or six hours if you take the Coast Highway. Fort Bragg is a shorter drive from Sacramento, but still three-and-a-half hours via I-5 N, CA-20 and US-101. This is a small museum and gift shop which is open daily from 10am to 5pm. 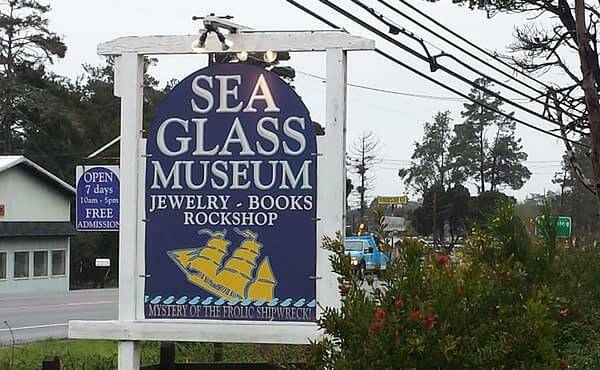 It gives a great overview of the history of Glass Beach as well as displaying a big selection of sea glass. 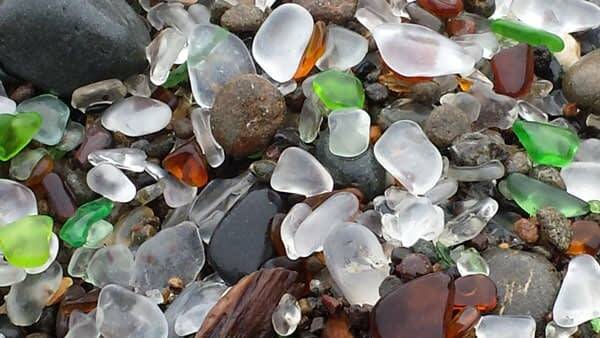 You can look at all the different colors of glass that have been washed up onto the beach and find out how they got there over the years. We were in and out of the Glass Beach museum in about 45 minutes. The museum is free, but they do ask for a donation. Capt. Cass Forrington, the owner, is a retired merchant marine captain and has great knowledge and terrific stories. 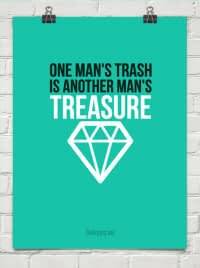 His museum has a lot of sea glass and other treasures he has found over the years. He also makes and sells his own sea glass earrings, necklaces and other jewelry. We learned quite a bit about ecology and geology in this little museum. I would have to say it was time well spent. 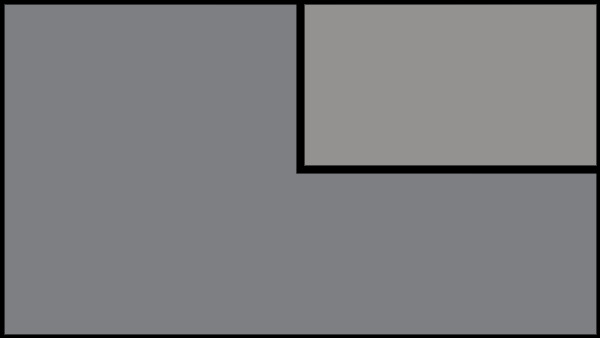 How to get there: The museum is one mile south of the junction of Highways 1 and 20. This is just past the Botanical Gardens and roundabout, on the east side the highway. 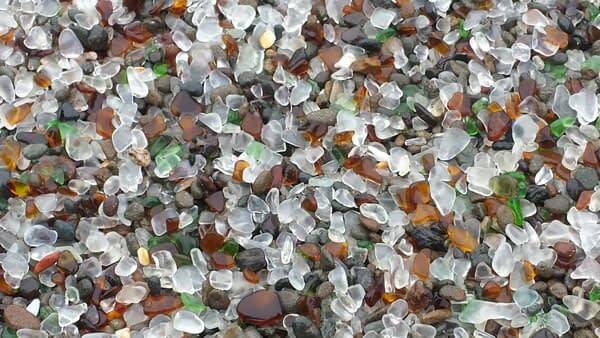 From Glass Beach, go 3.2 miles south on Highway 1 and you will see the Sea Glass Museum on your left. 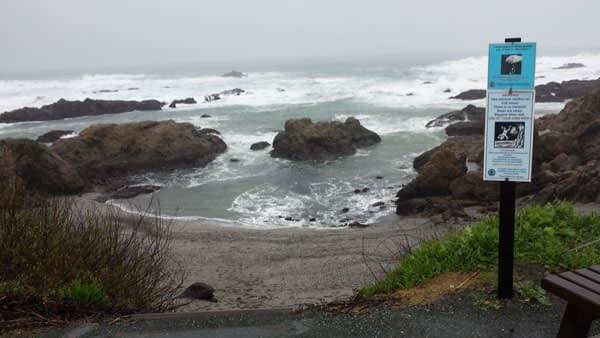 The Mendocino Coast tends to be on the cool side. 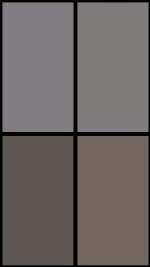 The average daytime temperature is around 50 to 60 degrees pretty much year round, with an occasional storm in the winter. The key to enjoying the Mendocino Coast is to dress in layers because the weather can change hourly. The July high is around 64 degrees and in January the low is about 39. 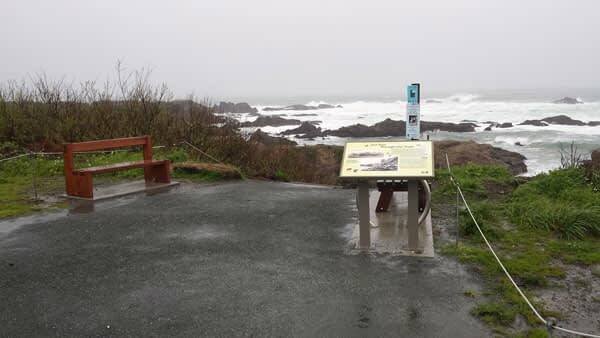 On average, there are approximately 200 sunny days per year in Fort Bragg, California. 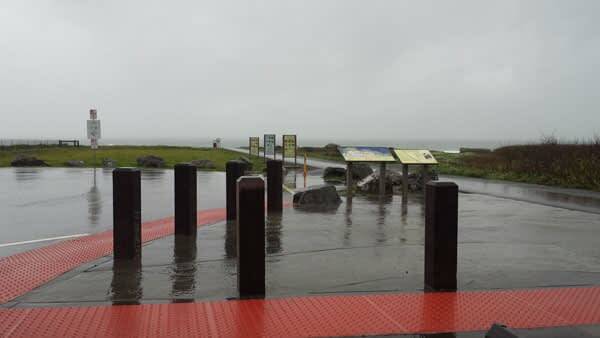 Unfortunately, it was raining quite heavily when we visited Fort Bragg in March 2016. 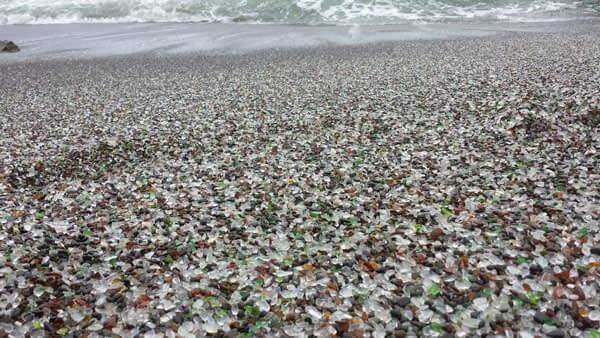 However, the storm meant that much more sea glass ended up on the beach so we didn't mind at all! There is lots more to discover too, click here for some ideas!